My migraines never reduced in frequency or intensity. I took over-the-counter and prescription drugs. It was not usual for me to take 8 muscle relaxants a day plus small amounts of prescription painkillers. My lifestyle was otherwise healthy. I did pilates 5 days a week, ate well and slept 8 hours a night. But 6 out of 7 days was a struggle. A struggle to be positive focused and upbeat at work many days when I just felt like banging my head down on my desk. After numerous escape attempts I finally broke free from the brutal grip of migraine. I am a hard-working, high-energy businesswoman blessed with many wonderful friends and associates. Most colleagues and acquaintances, however, don't know that for the past 30 years I've been in serious pain, a hostage of migraine. I deliberately underplayed my health issue and honoured virtually every meeting, speaking engagement, social and personal commitment. So why didn't I confess my health challenge and avoid the exhaustion of keeping it a secret? The answer is simple. There is a stigma with migraines. 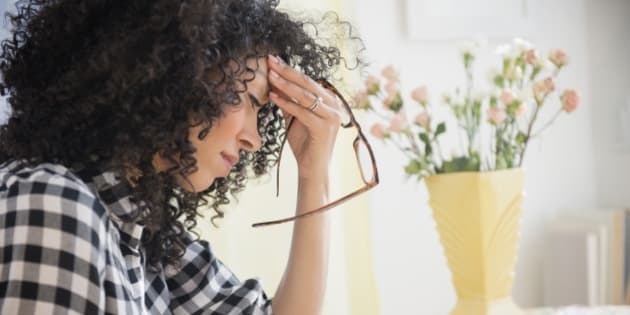 A 2013 study from Thomas Jefferson University, released in PLOS ONE, found that the social stigma suffered by chronic migraine sufferers is as great as epilepsy. It is often seen as a sign of weakness or an inability to handle pressure. I work in high-stress, fast-paced environments and as I climbed the corporate ladder I was afraid of being seen as someone who couldn't handle it, which would limit my career progression. I was first held hostage in my second year of university during exams. My father immediately recognized the symptoms because his mother suffered from them. Migraines have since been confirmed as hereditary. From my University years on, I have tried to prevent the near daily torture by embracing every known healthy lifestyle option, every coping method and every treatment alternative imaginable. The list of triggers grew longer as years passed. Change in barometric pressure was a big one. I was more reliable at telling when a storm was coming than the weather channel. There are places in the world that are the most misery-inducing because the frequent change in barometric pressure gave me a headache from the moment I arrived until the moment I left. Plane trips were guaranteed hostage-taking events. Certain foods are triggers. A few were obvious from the start such as chocolate and red wine. My head would pound within 10 minutes of consumption. I have seen allergists and been through elimination diets. I have no known food allergies. However, certain foods and common chemicals in foods such as tyramine, sulfites, glutamine (MSG), aspartame and others, are powerful migraine triggers. One specialist thought food additives might be overwhelming my system. So I threw out most of the food in my house and off I went to Whole Foods and bought up a storm. Ready-made meals and restaurants were off-limits. My poor family was treated to my choice of recipes made exclusively from organic ingredients. I am a terrible cook and these meals only served to annoy my family and did nothing to release me from captivity. I saw a series of acupuncturists and chiropractors. No relief. Treatments often included expensive supplements, which at one point put me at a dangerously high level of magnesium. I tried homeopathic remedies in a big way. They always tasted and/or smelt awful and never, ever worked. I have had the fluorescent lights turned off in my last few offices as they were said to be a trigger. I had the quality of the air tested in one office then an air purifier installed. No difference. About 5 years ago I was prescribed medication to lower my blood pressure with the intent that changes in barometric pressure wouldn't trigger my headaches. I have tremendous empathy for those on blood pressure medication given my experience. I gained about 10 pounds and my body temperature dropped. I was so cold that I couldn't sleep at night. Interesting theory, but that didn't work either. My last neurologist was apparently "The expert." He confirmed that my symptoms were really that of a classic chronic migraine. Then he sent me for an MRI saying that, "There is no point treating you if you have a brain tumor." True but unsettling. He then gave me a new treatment that I hadn't tried.... Botox injections all over my skull. That treatment failed as well. But I had the skull of a twenty year old! My migraines never reduced in frequency or intensity. I took over-the-counter and prescription drugs. It was not usual for me to take several muscle relaxants a day plus small amounts of prescription painkillers. My lifestyle was otherwise healthy. I did pilates 5 days a week, ate well and slept 8 hours a night. But 6 out of 7 days was a struggle. A struggle to get out of bed when there was a jackhammer hitting my right temple. A struggle to get dressed when I felt nauseous. A struggle to be positive focused and upbeat at work many days when I just felt like banging my head down on my desk. I then heard that a world-renowned migraine clinic had opened a clinic in Toronto. As far as I was concerned, this was my one last option, my last gasp escape plan. This treatment, unlike medication, offers no quick fix so it really tests your optimism and resiliency. For the first 2 months I saw little improvement. But then I had a month with 20% migraine free days. The next month 33% migraine free days. The next month 50% migraine free days. The next month, at the 100-treatment mark, I had 80% migraine free days. After a few more treatments I may get the odd migraine but that's all. In less than 6 months I will be able to say goodbye to the Migraine Clinic. Already I've travelled migraine-free to London and other cities with migraine triggering weather. Flights don't bother me either. 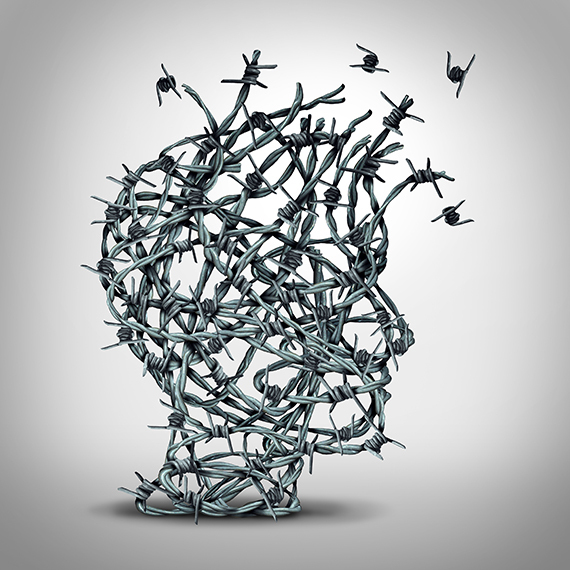 Migraine hostages come from across Canada and beyond. Some fly in from as far away as Australia for treatment. Full disclosure. The treatment that cured me is much harder than taking pills to dull the pain. Most chronic migraine sufferers will need 75+ treatments, which represents a significant time and financial commitment. But that's a price every long-suffering migraine hostage would gladly pay.